In terms of the expected and climactic showdown for the world championship, Sunday's Turkish GP provided the perfect result - the four contenders finishing in reverse championship order, with each closing the gap incrementally to those in front. For Lewis Hamilton, the second right-front tyre failure in three race weekends must have seemed like purgatory, and payback for the outstanding mechanical reliability that he has benefited from all season. After the traditional summer three-week break, Turkey served not just as a resumption of battle among the championship front-runners, but also as a postscript to the controversy in Hungary. The key point of interest was to see which of the McLaren rivals had recovered composure from the negative aftermath of Hungary. The answer was immediately apparent. Hamilton was back to his self-assured, focused and cheerful self. Fernando Alonso, by contrast, continued to mutter and grumble darkly about feeling 'unrewarded' by the team, as if being handed a king's ransom salary and an equal-best car was meagre compensation for his talents. If both drivers had given the team reason to feel displeased in Hungary, Alonso was clearly less concerned about the need to make amends. The contrast in their off-track demeanour translated aptly into their all-important qualifying performances on Saturday. Hamilton once again turned around a disappointing first run and blitzed his second and final attempt. Alonso again impressed early, only to lose it all by gambling on the harder tyre for his second run. It was indicative of how the season has developed - Hamilton happy to continue with the direct and enthusiastic approach that has worked so well for him, his rivals now forced to think out of the box and contrive 'hit and hope' tactics to try and close the gap. When Alonso compounded the qualifying misjudgement by deciding to start on harder tyres from the dirty side of the grid, his race was effectively over. It didn't matter that Hamilton made the same tyre decision and also lost ground on the short run down to turn one. Hamilton at least had a buffer to gamble with. When the BMWs of Robert Kubica and Nick Heidfeld slotted in between himself and his team-mate and championship leader, Alonso was in immediate damage-limitation mode. It's a position he's been in many times before, and fate has often been kind to him. Kimi Raikkonen's tyre failure at Nurburgring 2005 and Michael Schumacher's blown engine at Suzuka 2006 were two more memorable examples of when Alonso hung on to prevail despite seeming well beaten in the race. Hamilton's tyre failure gave Alonso yet another reprieve, and another cause for post-race relief and celebrations that had seemed unlikely just an hour earlier. Yet, this time it was different. At Nurburgring 2005 and Suzuka 2006, Raikkonen and Schumacher received no reward at all for their efforts. On Sunday, Hamilton hung on for fifth place and four precious points. At Nurburgring and Suzuka, Alonso left the weekend with a healthy championship lead. After Turkey, he still trails. The deficit is almost insignificant, just five points. But, without the undivided support of the team and with both Ferraris bearing down on the title battle as well, Alonso appears listless and out of his comfort zone. Earlier in the season, the belief (not just by Alonso but also by the Ferrari drivers) was that Hamilton must encounter technical problems at some stage. Sure enough, the luck has turned against the English rookie. Although, even after two race-changing tyre failures, Hamilton still clings tenaciously to the championship lead. Part of that is due to sheer luck. If the sudden delamination of his front tyre under braking for turn nine wasn't enough to pitch Hamilton out of the race, the mile-long crawl back to the pits (with the loose tread flailing wildly) should have been enough to necessitate at least a front wing change. Miraculously, minor wing damage was the only consequence. Hamilton's post-race analysis, that he may have been able to pass at least one of the Ferraris if he'd enjoyed the benefit of the extra five laps of fuel during his middle stint, was an unlikely as his post-Monaco claims. Immediately prior to his tyre problem, Hamilton was only about half a second per lap faster than Raikkonen's lap times immediately following the Finn's final stop. That was never going to be enough to make up the six-second gap between the two. Still, despite the frustration of losing a chunk of his championship advantage, Hamilton was at least able to minimise the damage. In the broader season context, the tyre failures at Nurburgring and Turkey have also dispelled any claims that Hamilton is leading by luck due to the technical misfortunes of his rivals. He's now had his fair share of technical failures as well. If he goes on to win the championship, it will be on merit. That is still potentially a full five race weekends away from being decided, but one factor has become increasingly evident as the season has progressed. When history looks back on the eventual 2007 champion, it will be noted that Hamilton did most of his effective work on Saturday afternoon and on the run to the first corner on Sunday. For the remaining five GPs, grid position is no longer just vital. It will, in all likelihood, decide the championship winner. That, in turn, has left Ferrari in a quandary. They have received credit for not implementing team orders yet. But they have no other choice. Just when it seems one Ferrari driver is set to seize the initiative permanently, the other turns in a winning performance and tilts the scales back in his favour. It has been years since two Ferrari drivers were so evenly-matched. 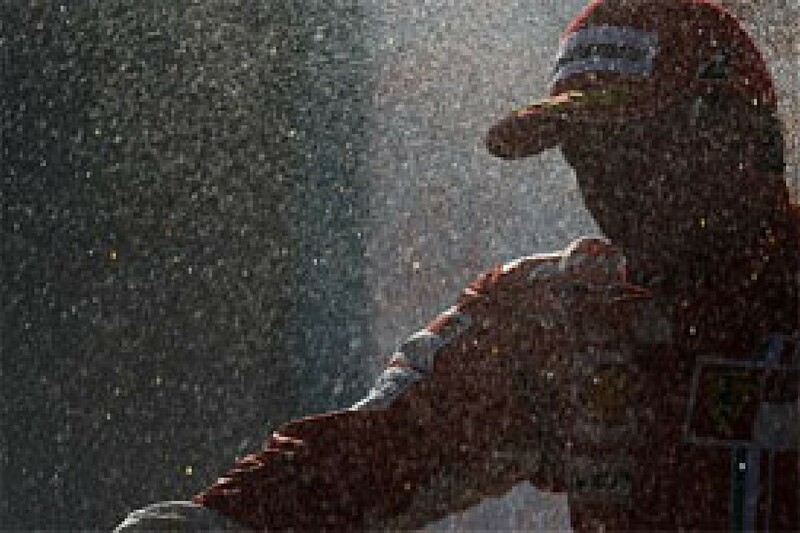 If Ferrari is to win the title, they will need more than victory in each of the five final races. They also need one of their drivers to step up and consistently outperform the other. Kimi Raikkonen and Felipe Massa continuing to take points off each other will play to McLaren's advantage. In a situation where the Ferraris are off the front row of the grid, the smart bet would be on Raikkonen. But, with the importance of pole position and the likelihood of Ferrari retaining their slight performance edge for the rest of the season, Massa seems the more likely candidate. When he can put the car on pole and lead through the first corner (as he did on Sunday), the Brazilian has proved nigh-unstoppable since his maiden win in Turkey one year ago. Massa has also established himself as the more explosive qualifier, taking five pole positions this year to Raikkonen's two. However, Massa has never won a race from any starting position other than pole, and he struggles to maintain momentum. He did manage three consecutive poles (and two victories) at Malaysia, Bahrain and Spain. Expecting another three or four consecutive pole position performances from the Brazilian may be too much, particularly given the quality and consistency of the opposition. 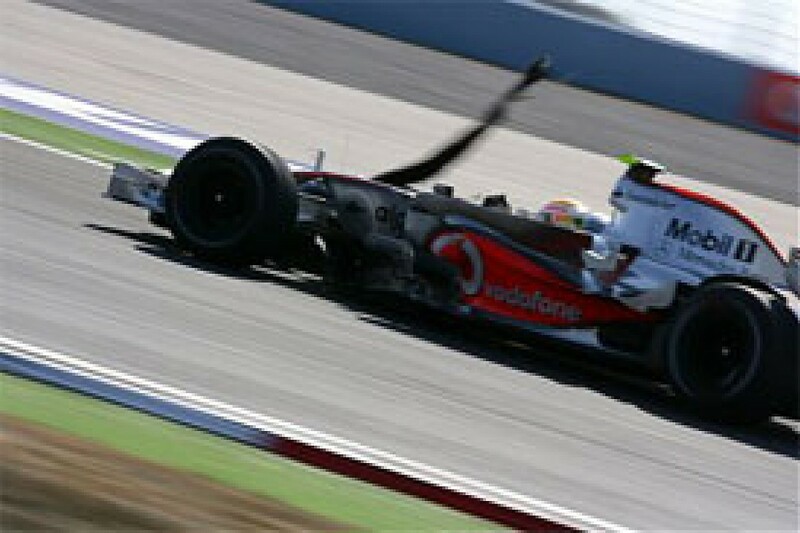 By the standards of the two previous years, the 2007 Turkish Grand Prix didn't produce the most exciting racing. Inevitably, the next few races will follow a similar pattern. The combination of overtaking difficulty, almost flawless reliability and four evenly-matched drivers who have each won three times during the season has resulted in low-risk racing that favours damage limitation over heroics. However, as the opportunities diminish, we are also fast approaching the point where conservative driving will no longer be enough, and one or more of the top four will have to go for broke. Whatever happens, the remaining five races are sure to be memorable.